On Feb. 13, 2009, Drake’s career took off. On that day, he released his critically acclaimed mixtape, “So Far Gone,” which almost won him a Grammy for the most popular song on that album, “Best I Ever Had.” Last June, he dropped his debut album, “Thank Me Later,” which sold 447,000 copies in its first week and is now certified platinum. It’s safe to say that Drake has taken over the music industry. Drake released his sophomore album “Take Care” Nov. 15 after a delay due to sample clearances. The album features Rick Ross, Lil Wayne, Rihanna and many more. For his sophomore album, “Take Care,” Drake went back to his hometown of Toronto to record. He worked for months with his best friend and producer, Noah “40” Shebib, on the album and was able to rack up features from his boss, Lil Wayne, Nicki Minaj, Rihanna, The Weeknd, Kendrick Lamar, Rick Ross, Andre 3000 and Stevie Wonder. The album was originally scheduled to be released on Drake’s birthday, Oct. 24, but due to sample clearance issues, the album hit stores Nov. 15. Drake opens the album with “Over My Dead Body” and says, “I think I killed everybody in the game last year, man f— it I was on though.” From the opening line of the song, you can hear Drake’s confidence in himself and his abilities. The lead single, “Headlines,” is Drake’s first full song rapping on the album and is one that is full of boasting punchlines. Features from The Weeknd and Rihanna occupy “Crew Love” and “Take Care,” leading into “Marvin’s Room,” which took over thousands of radio stations after Drake released the song on his website over the summer. Then comes a moment that I will struggle greatly to describe. Just Blaze, legendary producer, teamed up with Drake and Rick Ross for “Lord Knows,” which features a live choir masterfully incorporated into the beat with huge drums and smooth keys. If you haven’t heard of Just Blaze, think of your favorite Jay-Z song, Google it, and more than likely he’s the one who produced it. Drake is almost overpowered by the monstrous sound Just Blaze created, but overall, it’s one of the best songs on the album. 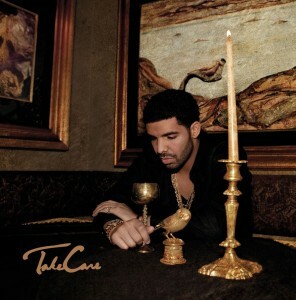 “Take Care” then returns to the R&B sound it began with over the next four songs, starting with “Cameras / Good Ones Go Interlude.” Drake somehow managed to get Stevie Wonder to perform a harmonica solo on “Doing It Wrong,” an emotional song about a relationship ending. One of the most powerful songs on the album, “Look What You’ve Done,” features an incredible beat from Chase N. Cashe. Drake reminisces about his time in Toronto as a child over the chilling piano before playing a voicemail from his ailing aunt at the end of the song. “Take Care” is much different than Drake’s debut album, “Thank Me Later.” With his sophomore, he was able to create more of an R&B sound and tried less to make big, hit records, as he did often on his debut. Instead, he focused more on the integrity and meaning behind the music. The transitions from song to song are sharper, each song has more of an impact on the listener, and you can truly feel the emotions that Drake is singing or rapping about on every track. Whether he’s singing about the end of a relationship on “Doing It Wrong” or rapping about his luxurious life on “Headlines,” Drake has a much bigger presence and impact on this album. Take Care” is a must-have album and one of the best released in 2011.